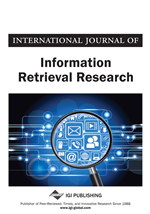 In this work the author proposes to describe a new model of information retrieval. They studied the effects of using weighted index terms recognition mistakes in a document indexing system and evaluate indexing performance when short and long requests are used. The effect of weighting index terms in the document collection and in the requests is analyzed. Given the typical requests submitted to term indexing system, it seems easy to consider that the effects of term recognition mistakes in user requests must be severely destructive on the effectiveness of the system. The experimental study reported in this paper shows that the use of classical term Indexing technique for processing this kind of request is robust to considerably high levels of term recognition mistakes, in particular for long requests. Moreover, both standard pertinence feedback and pseudo pertinence feedback can be employed to improve the effectiveness of user request processing. A term indexing (Ganzinger, Nieuwenhuis, & Nivela, 2004; Sekar, Ramakrishnan, & Voronkov, 2001) is a technical way of computing science that permits the storing et allowing fast access to a great quantity of Information. It becomes a capital task for retrieving the useful information due to the rising quantity of available information which has constituted an enormous advance in our daily life. At the same time, however, some problems emerge as a result from the existing difficulty to distinguish the pertinent information among the high quantity of impertinent data. TIS is a computing tool, which represents and stores information to be automatically returned for future use. Most actual TISs store and enable the indexing of only information or documents. However, this is difficult task, it must be noticed that often the sets of documents a TIS has to deal with contain several thousand or sometimes millions of documents.